A commonly reported sensory issue for children or adults with sensory processing disorder is touch sensitivity. Sensory integration trained therapists would usually call this ‘sensory issue tactile defensiveness’. Sometimes they may use the term ‘over-responsivity to touch’ but it means the same thing. As we discussed in our post on the touch system, there are three types of touch sensory inputs. These are light touch, discriminative touch and touch pressure. If you haven’t read this post, we recommend you read if first before reading any further. It will help with your understanding of tactile sensitivity. In addition to light touch, discriminative touch and touch pressure, the skin also receives information about pain, temperature and vibration. Light touch and pain typically warn the body about potential threats, so are often called ‘protective sensations’. They send sensory information through a different nerve pathway to the discriminative touch sensations. A nerve pathway is like a road that the sensory signals travel along to the brain. Usually, once these protective sensations warn the brain that something has touched the skin, the brain then receives extra information from the discriminative touch pathway to let it know what that something was. For example, if you touch something hot, the brain will immediately acknowledge the feeling of pain. As a result, the brain will make the body move your hand away. Next, you will receive extra sensory information from the discriminatory touch pathway. This lets you know more about where the pain is and also that it feels like a burn. The brain receives different sensory information from each pathway. As another example, if your hair is dangling in your face, the first time it touches your face you might get a surprise. You may not know exactly what the light touch sensation on your face was. However, extra information about that piece of hair will then go through the discriminatory touch pathway or you might brush your hand on your face and this will let the brain know it’s just a piece of hair. It is nothing to worry about and your brain will ignore it. Jean Ayres thought tactile defensiveness occurs because the brain pays too much attention to light touch and protective sensations from the skin. Instead of listening to the extra information available from the discriminative pathway, the brain keeps paying attention to the light touch and protective sensations. These sensations are designed to alert the body to a problem or threat. They are designed to keep the body safe. So, each time the brain receives a message from these pathways it initially thinks that something might be wrong. It gets ready to protect the body. This is called a fight, flight or freeze response. Jean Ayres thought that the brains of children and adults with tactile defensiveness interpret ordinary touch sensations, such as clothing or a hug, as a threat. 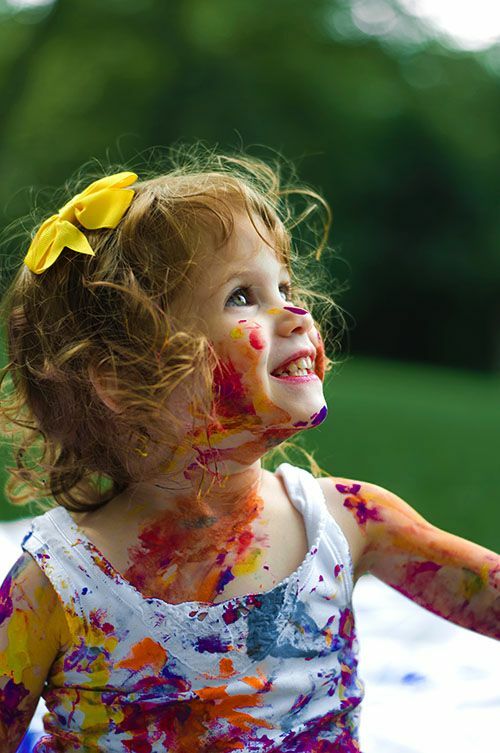 Their brains pay more attention to light touch sensations than the brains of children without touch sensitivity. This helps to explain the behaviours that are seen in children or adults with tactile defensiveness. Their responses to everyday touch can often result in meltdowns, arguments and avoidance. This is because their brains are feeling that touch in the same way you might if you touched something hot or ran into a spider web. The everyday touch activates their brains protective system and triggers a fight, flight or freeze response. Some adults with touch sensitivity have also reported that certain everyday touch sensations feel painful. Children and adults who experience sensitivity to touch may also find it more difficult to ignore touch sensations. A comparison would be the feeling of having a stone in your shoe, a stone that is very annoying and constantly drawing your attention until you take off your shoe and remove it. For children or adults with tactile sensitivity, sometimes it is everyday touch that feels like the stone. This could be something like the tag on the back of their t-shirt, or the feel of a certain fabric. Their brains cannot ignore the feeling and they just need to get away from it, in the same way you want to remove the stone. How can I find out if I am, or my child is, tactile defensive? There is currently no formal test like a blood test or an x-ray to find out if someone is sensitive to touch. Tactile defensiveness is also not a formal diagnosis which your doctor could diagnose you with. It occurs with other conditions such as autism or Asperger’s. It can also occur with other sensory processing difficulties. An occupational therapist is the best professional to seek advice from. They will use questionnaires and observations to determine if it is likely a child or adult has tactile defensiveness. A questionnaire, such as the Sensory Profile, will give a score for how the child or adult responds to touch. The therapist will also look at the individual questions to consider if these relate to touch sensitivity. What can I do to help a child or adult with tactile defensiveness? For some children, the Willbarger brushing protocol does make a difference. This protocol uses brushes with stiff bristles to help decrease touch sensitivity. It must be led by a trained therapist and it is not the right solution for every child. It is recommended that you discuss the most appropriate option for your child with their occupational therapist. 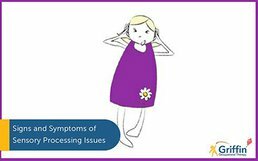 We explore these ideas further and also provide other suggestions for helping to support sensory processing disorder in our online course ‘Sensory Processing What’s the Fuss?’ If you are working with younger children or children with a cognitive age between 3-5, you may also find our resource ‘Sensory Group‘ helpful. Sensory Group is a step by step weekly programme that targets tactile sensitivity, joint attention and turn taking. It is a perfect resource for teachers working with children with autism or developmental delays who avoid messy play and show signs of tactile sensitivity. Don’t forget to share this page if you found it helpful! Also if you want to be the first to read our new posts on sensory processing disorder or motor skills join our mailing list. Ayres, A.J. (1972). Sensory Integration and Learning Disorders. Lane, S. (2002). Chapter 4 Sensory Modulation in Sensory Integration Theory and Practice 2nd Edition by Bundy, Murry & Lane.